How Do You Get Self-Confidence? Self-confidence is something most people would like to have more of, but they aren’t sure how to achieve it or where to get it. Perhaps there was a time when your self-confidence was at a higher level than it is now. You may have felt more certain and trused yourself a bit more. Or perhaps you just want to raise your overall level of self-confidence to become more successful and prosperous. No matter the circumstance, to increase self-confidence it is vital that you know and understand what can reduce your self-esteem. People feel less secure, lose self-respect or start to have less trust in themselves for specific reasons. When you know why this happens, you can do something to reverse the situation and build up your self-confidence once more. The length of course is 4 days part-time. "This course has given me a sense of knowledge on how to maintain my self-confidence. In a way it has given me hope. I now know that there is a way to reach my dreams. The way I perceive myself is the way others will. Therefore it is up to me to perceive myself as the best. I have it in me to do whatever it is I want to do and this course has made me realize that and given me techniques on how to be the best I can be." L.P. I have always had trouble with self-confidence, ever since I can remember. I’ve always looked to others for approval rather than myself. Now I know that self-confidence is found in one’s self. 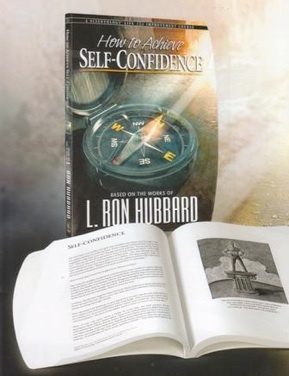 I have many comprehensible tools I can apply to my life to ensure I keep my self-confidence.” M.M.